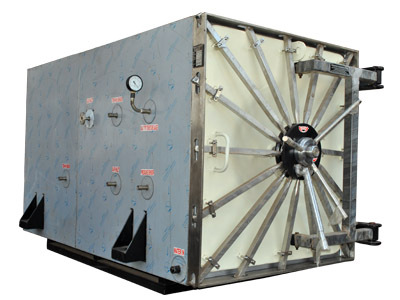 Krishna Engineering is counted as one of the best ETO Sterilizer manufacturer. ETO sterilizer is known as Ethylene Oxide sterilizer which is mainly used to sterilize medical and pharmaceutical products that cannot support conventional high temperature steam sterilization. ETO Sterilizer is highly effective sterilizing equipment and perfect for heat sensitive tools and devices as it uses only ethylene oxide gas for sterilizing the substances. Our provided ETO Sterilization guarantees that a safe and sterile product will be delivered to the market every time. The product offered by us satisfies the need of the clinic, hospitals, laboratories and medical device manufacturers who require a sterilizing facility for heat-sensitive items which would otherwise be smashed by high temperature, pressures, or vacuums. Single or double door With Sliding or Hinged door options to suit client specific requirements.